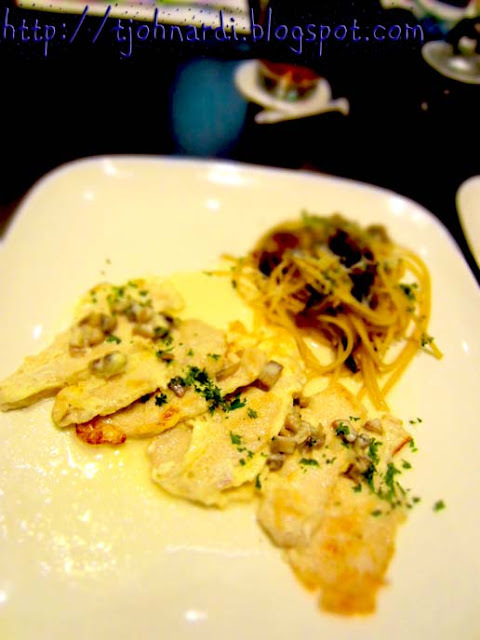 The Chicken Picata Milanese is a dish comprising slices of chicken fillet dipped in egg-white and grilled and served with spaghetti in creamy mushroom sauce. Perhaps the cream sauce could be made more creamy and less dilute or watery, other than that, everything else is well done. 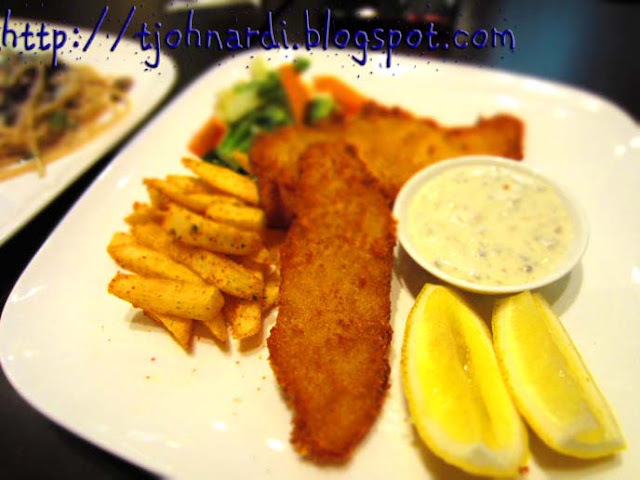 The Fish & Chips is good (although it still can't replace my favourite fish & chips...haha). But really, for such a good deal, I'm not going to complain at all. 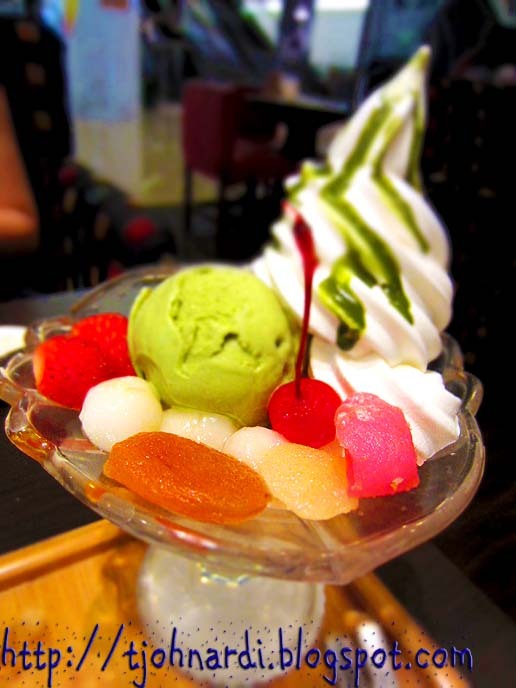 And to seal the pleasant lunch surprise, we ordered the Macha Sundae...This item is not under any special promotion, so we paid the normal price for this one. Hmmm...I love the assorted toppings! Just for your information, this is the poster that hooked me (& my sister) to make our way just to have lunch @MOF. 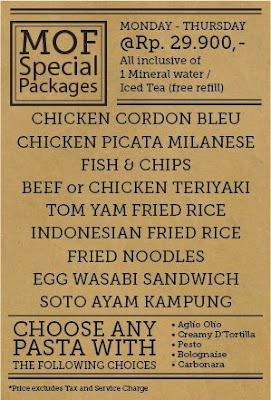 Hope this post is useful, especially nearing the end of this month, when most of our wallets are getting skinnier by the day :p This is Jakarta, but we can still eat good food despite being on a tight budget. Cheers everyone!